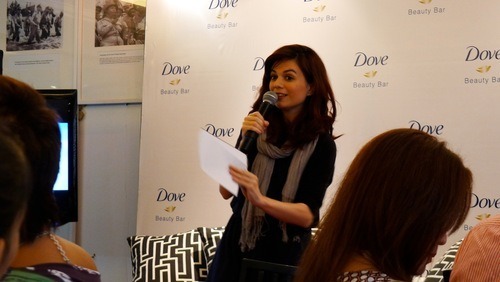 I remember being so confused when I arrived at the Dove event at Cafe Romulo. 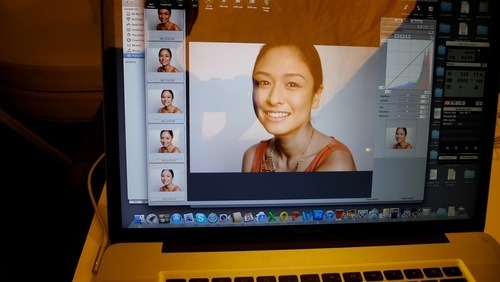 I was fully made up and ready to have my photo taken when I was asked to remove all my makeup. Before I could ask, “why?”, I was already being led to the restroom where I found Dove Foaming Makeup Remover Soap and the classic Dove Beauty Bar to help me do just that. A couple of guests were in there with me, equally clueless as to what was happening. I think at one point we were debating on whether we should take our makeup off completely or at least leave our mascara on. Anyway, I did as I was told, and when I went up I was surprised to be led to a makeup chair. I finally figured it out: I was going to have my makeup done for a shoot where all the guests were going to be “models”. Yes, all of us were models that day, as just behind us a shoot was in full swing, with no less than established photographers Sara Black and Jo Ann Bitangol behind the camera(s). Each of us were beautifully transformed into Dove girls thanks to makeup by MAC Cosmetics and photography by Sara and Jo Ann. The shoot was quick and sweet, and we were led to a yummy lunch. While at the lunch we were made aware of women’s perception to beauty, and how it seems, most of us look at ourselves negatively. Take these numbers, for instance: In 2004, Dove interviewed 3,200 women aged 18-64 in 10 countries to understand their perception of beauty. Only 2% of women worldwide saw themselves as beautiful. 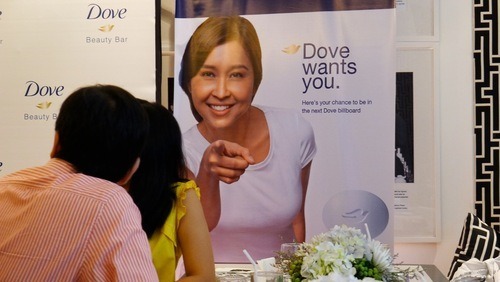 In 2010, Dove repeated the same survey and found the the number has risen to only 4%. These numbers are alarming, to say the least. 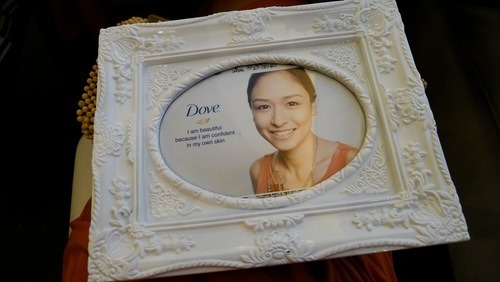 Which is why Dove has taken it upon themselves to start a campaign that dares women to reveal their glowing skin. After hearing about this new campaign, the shoot made sense. We were practically the first entries to this exciting search (well, technically we needed to use the product for six more days and then we could join) and all we had to do was to spread the word. Imagine seeing your mother, grandmother, daughter, best friend, cousin or yourself up on that billboard. Wouldn’t that be something? In the meantime, we were given framed copies of our photographs as a token for being such good sports (it is quite difficult to ask beauty editors/writers to remove their makeup at an event). Mine is happily displayed in my room as a reminder to be happy and to love myself everyday. Lets help raise that 4% to 100%, because every woman is beautiful and we deserve only the best. 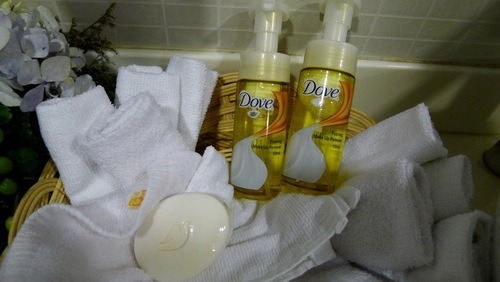 At the restroom, I tried Dove Foaming Makeup Remover Soap for the first time. It was pretty great. All my makeup washed off, including mascara. And here I am getting my makeup done. Makeup was very natural and clean. 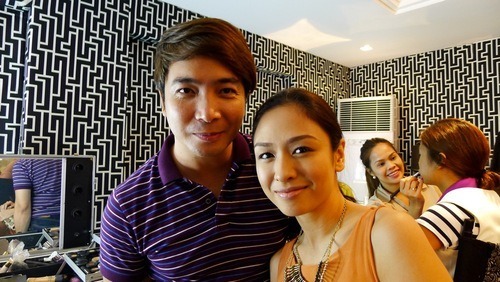 Juana Manahan-Yupangco went before me for the shoot. My turn. Sara took about 10 shots. 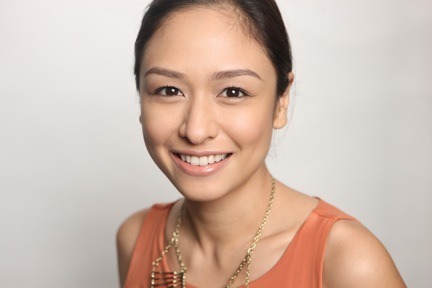 That afternoon’s host, Lexi Schulze Berenguer-Testa. 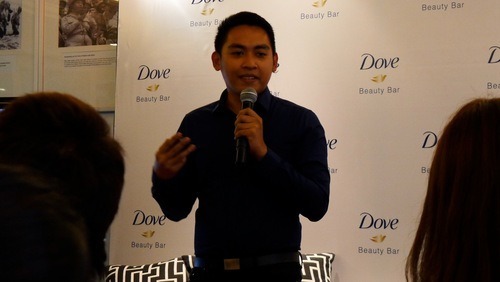 Dove Brand Manager Jules Golayan explains their latest campaign. Here is my framed photo. Love the frame, and of course the photo in it haha.